“I love it when my customers stop doing business with me” – said no-one ever. So what can you do when a customer decides to take their business elsewhere and leave you forever? 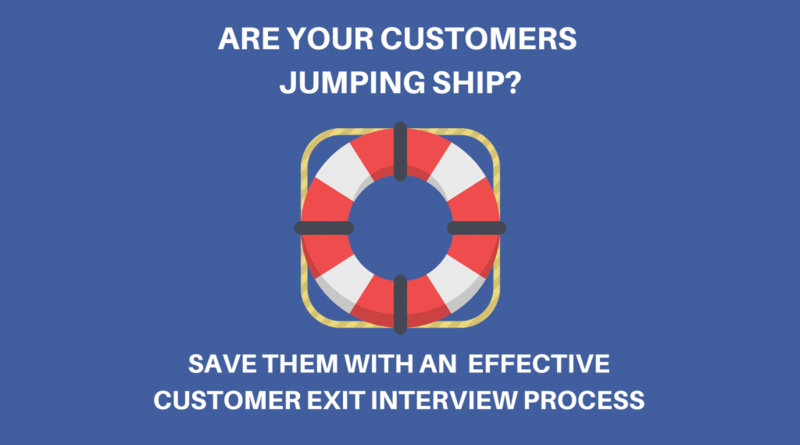 Implementing customer exit interviews can drive powerful results for your business. Every lost customer is an opportunity to turn that customer into one of your biggest fans (or learn valuable insights from them about your business). Can you really stop a customer from leaving you? Have you ever tried to cancel your mobile phone contract or had a bad experience at a big-name hotel? These are two industries with a high volume of customer interaction points from which we can learn. They have systemised the customer service exit intent process very well. When you want to cancel your mobile phone coverage you are redirected to a “disconnections” team with specialised support staff. These staff members are trained to identify exactly what your concern is, listen to you and have the autonomy to design a solution for you before you leave forever. If you ever have to make that call you will see that this will be some of the most upbeat, courteous and friendly people you ever deal with in your entire life. There’s a good reason for that. 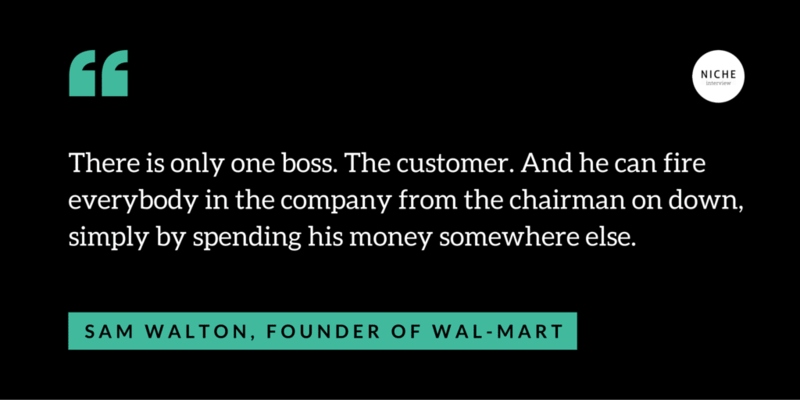 First, there is a huge cost involved with losing a customer. Depending on who you ask, it typically costs your business between 3x and 30x as much to acquire a new customer than to keep your existing ones happy. Second, if you can over-deliver to an unhappy customer then the distance between their current (low) and future (happy) state of mind is massive. Simply put, it’s an opportunity to impress someone who’s feeling down and remind them why they decided to work with you in the first place. If you do it correctly you can turn these customers around and create very positive word of mouth about your business. Hotels do this very well. If you are at a reputable big-name hotel and find that your room is dirty, they will not only promptly move you to a new room (or even an upgrade) but also offer you free bottles of wine, complimentary food and (in my friend’s case) a huge bowl of chocolates and flowers. What did my friend do when this happened? They immediately wrote about it on Facebook, told me about it and said great things about the service at the hotel. However sometimes there is nothing you can do to salvage the situation, and it’s better if you part ways. This doesn’t mean that you don’t have an opportunity to learn something though. By learning from your unhappy customers you might get an insight into how others might be feeling (and not telling you) and how you can improve your overall service delivery to them. The best way to learn from a customer who has left you is to conduct an exit interview. Keep it short and simple, and better yet, offer them something valuable in return for their time. Exit interviews can be done on the phone or via online questionnaires. Even a simple email asking for a reason can be very effective. If you are having trouble getting customers to respond, consider making your exit interview questions open-ended rather than using a survey with standard drop-down options. You’ll have to manually analyse each of the responses you get, but the results will be much higher quality insights into how you can improve your services. GrooveHQ reported that this simple change allowed them to capture ~8x more feedback responses from their past customers. You can consider some of the following questions in your exit interview. Read the referenced articles below if you’d like to know more. You should test these questions in your business to determine which give you the most valuable and actionable information for improvement. 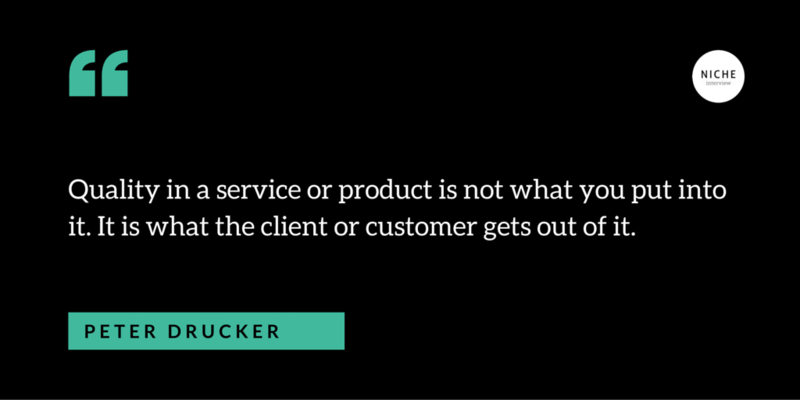 What did they like about your product or service? What didn’t they like about your product or service? What is their reason for no longer doing business with you? What would’ve prevented them from leaving? What suggestions do you have for improving the product or service? If you run a service business, the following post-project debriefing questions from Lawyersmutualnc.com might be useful to consider in a face-to-face session with your cilents. What was the greatest benefit you got from my service? What would you like to see more of in the future? How could I improve my service? Is there anything you would like to see me stop doing? Is there anything you didn’t get from my office that you were looking for? Has my staff treated you with care, attention, and courteousness? Is there an issue that I have not spent enough time on? Am I doing what you want me to do? Where have we been less than proactive in addressing your concerns? Make a list of question you want to ask your customers before they leave. When you design your first customer exit interview process, cycle through these questions with your customer base to test which ones will result in the highest quality feedback to you. See the GrooveHQ example in the article. You goal is to identify the reasons why your customers are leaving so that you can stop that from happening in future. You can do customer exit-interviews over the phone, via email or through the use of survey software such as Suverymonkey.com. Many people prefer to simply respond to a quick email rather than jump through your survey hoops. Make it easy for your past customers to give you feedback, and offer a reward to say thanks. The exit interview process is a last chance to impress the customer, fix their issues and turn them into an advocate – don’t miss the opportunity and remember that it will cost you 3x-30x more money to replace this customer with a new one (so don’t try to cut costs – give them real value). Thanks for sharing your thoughts, a good summary of what teams can do when a customer leaves. – Without achieving real value we won’t build a foundation for a long-lasting business relation, regardless of how good our product or services are. – Surprisingly, the opposite applies too: If our customer gets a lot of value from our product they will forgive us here and there if e.g. our service aren’t top-notch. You can learn a lot from angry customers - learn how you can use exit interviews to keep them from leaving (or improve your business when they do).